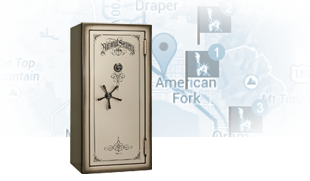 Guns Safes are not just for guns these days. You will find a variety of guns safes and comparisons on this site. 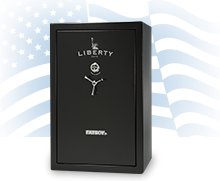 Our commercial and residential safes with the Liberty labels are "Made in the USA". We do carry a large selection on the floor for you to take a look at. So, stop by and we will walk you through what to look for when buying a safe and why we have the best deal anywhere. Enjoy the site and we hope you find every thing you need. If not, give us a call! Bullock’s Safe Co of Flint is a family owned business at the same location since 1986. 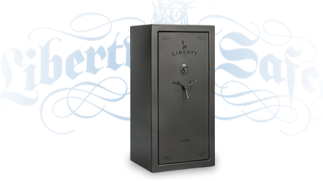 We have carried several brands of safes over the years and Liberty Safes are the best in customer satisfaction, overall quality, and value. Delivery is also available in Michigan , Ohio, Indiana and Illinois for most safes at an additional charge. We are able to load almost any size safe into a vehicle or trailer for the customer that wants to move their own safe.